This corn mill, whose whole body revolves on its base, was one of many built in Suffolk from the late 13th century. 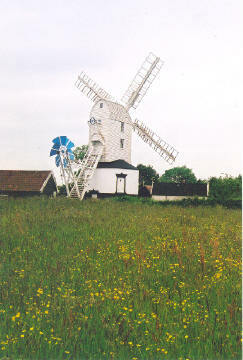 Though milling ceased in 1947, it is still in working order. Climb the stairs to various floors, which are full of fascinating mill machinery. 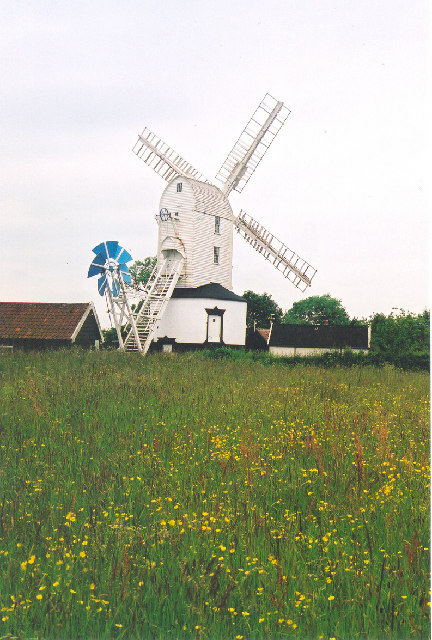 This post mill was built around 1700 and is one of the finest post mills in the region. It was substantially rebuilt at least twice, the second time in the 1950s when it was taken into state guardianship. It is now under the care of English Heritage The machinery and millstones are still in workable condition, though the mill is no longer used to grind flour. 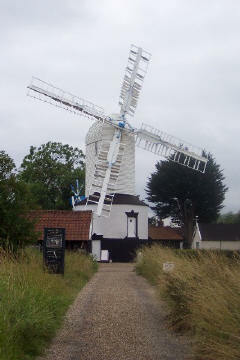 English Heritage is carrying out a phased programme of repair and redecoration of Saxtead Green Post Mill. 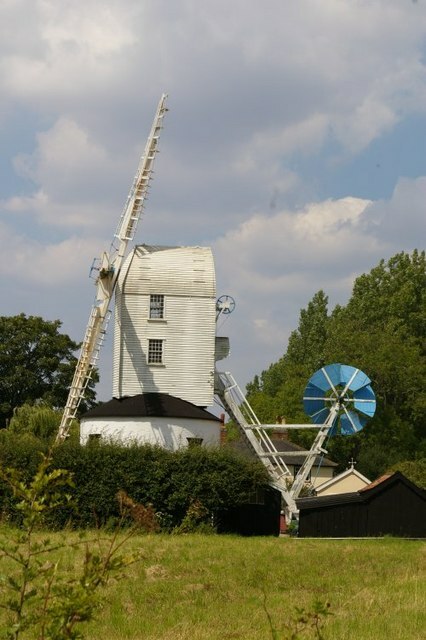 The body of the mill has just been redecorated externally and the main sails now need to be taken down in order that one pair can be replaced, the other pair be repaired and both pairs of sails be redecorated. At present one pair of sails has been substantially removed with only the stock remaining in situ whilst the other pair of sails is currently complete. However, both pairs of sails will be removed during the latter half of August in order to carry out these essential works. The sails will be reinstated for the 2009 season. On A1120, beside Saxtead Green, at the junction with B1119 to Framlingham. 2 1⁄2 miles NW of Framlingham. April to September, Fridays, Saturdays & Bank Holidays, 12.00 to 17.00.